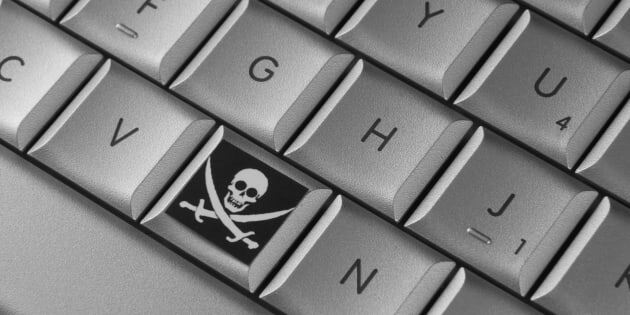 If you torrent all your movies, this one's for you. Turns out, those pesky warning emails from your internet service provider about those movies you download actually mean something. When you engage in unauthorized downloading of content like movies or TV shows, the creators will often contact ISPs about it. Your ISP will then send you an email notifying you that they've been contacted (as they are required to do by law since 2015). Since the so-called "notice and notice" emails aren't actual threats of legal action, most people ignore them. However, if the unauthorized activity continues, you may get another email stating that the copyright holder has the right to sue. In most cases, the intellectual property holders who go after individuals for file-sharing can only get a list of IP addresses. They have filed "John Doe" lawsuits, wherein a lawsuit targets an unlimited number of unidentified people who've allegedly committed copyright infringement. But copyright holders have cracked down after the Federal Court ordered internet service providers in 2016 to name the people being targeted. For the past year and a half, movie rights holders have launched lawsuits naming more than 1,000 Canadians, and in some of those suits, have won damages up to $5,000, according to the National Post. Lawyer James Plotkin of CazaSaikaley told TorrentFreak that he's seen settlements where the defendants will pay $5,000, which is actually the maximum liability for non-commercial copyright infringement. "I am therefore puzzled as to why individuals would agree to settle for their likely maximum liability at trial," Plotkin said. "I see no rational basis for paying that amount." But if you happen to get caught up in a suit, Plotkin's advice is to lawyer up. It all started seven years ago with case involving the Oscar-winning film "The Hurt Locker." Voltage Pictures, the movie's owner, has been trying to sue Canadians over its unauthorized sharing since 2011. In 2016 it sued 50,000 Canadian John Does in a reverse class-action lawsuit, in which a large entity or corporation sues a group of people, instead of the other way around. They sought a court order in 2016 to force Rogers Communications to name a single one of those John Does. That case, which is still ongoing and is before the Supreme Court of Canada, is about who should foot the bill for naming customers who've allegedly infringed copyright, which Rogers says costs about $100 an hour, according to the Post. If Voltage wins, lawyers say the current lawsuits will be the "tip of the iceberg." "The lower the cost for the plaintiff up front, the easier for them to increase the number of defendants. That can make the difference between naming a lot of defendants and a few," Toronto intellectual property lawyer Graham Honsa told the Post.